You gotta try it: Don't miss the ongoing Kerala Food Festival at Akshara (3-12th Aug), Marathahalli, Bengaluru! 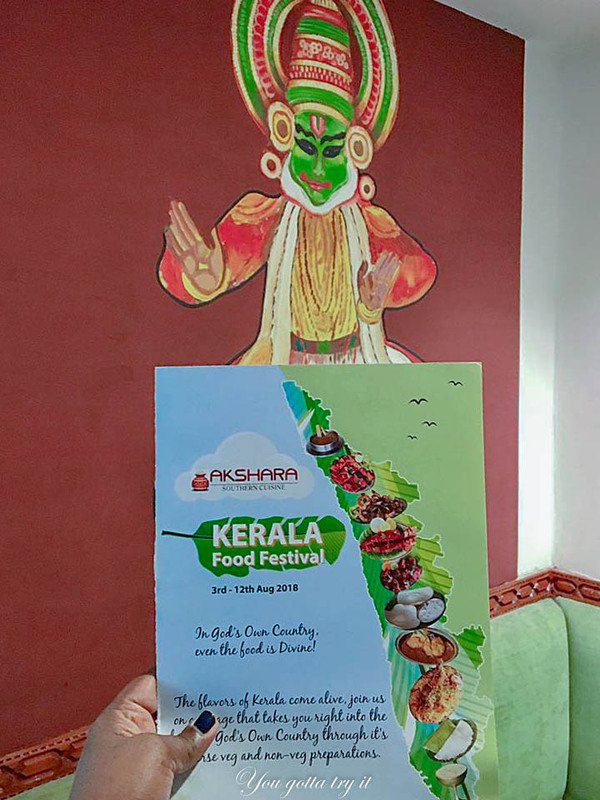 Don't miss the ongoing Kerala Food Festival at Akshara (3-12th Aug), Marathahalli, Bengaluru! 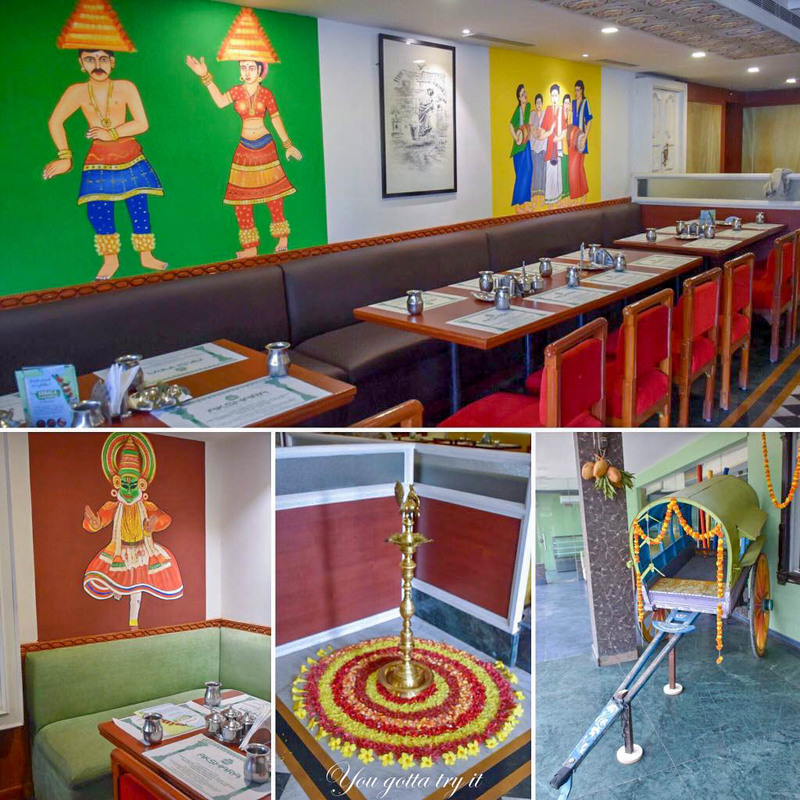 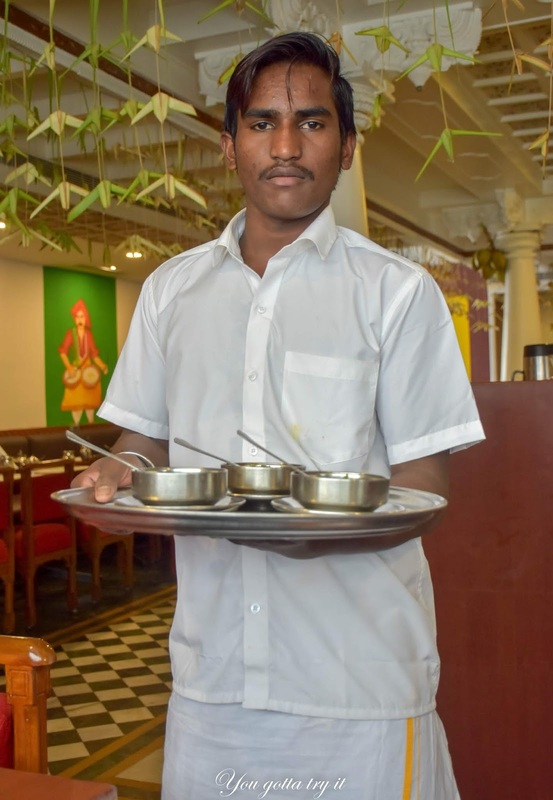 Akshara at Marathahalli focuses on serving popular dishes of all four states (now 5) from South India. 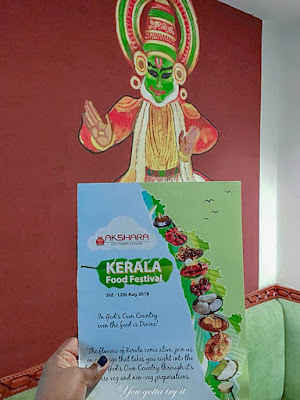 Last weekend they have come up with something very interesting and in the month of Onam 2018, what can I expect other than good Kerala food? 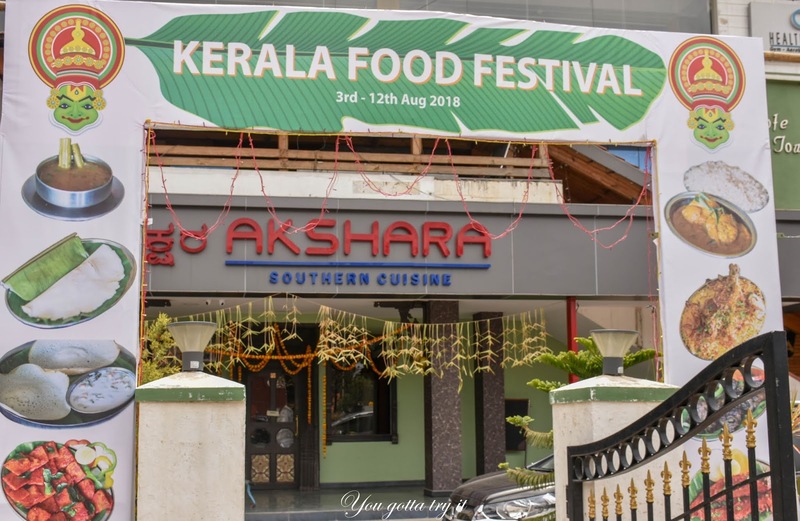 Akshara is having a Kerala Food Festival from 3 – 12th August 2018 and guys.. please don’t miss this if you are searching for a good, close to authentic Kerala food in Bengaluru. 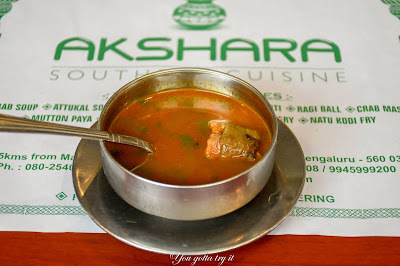 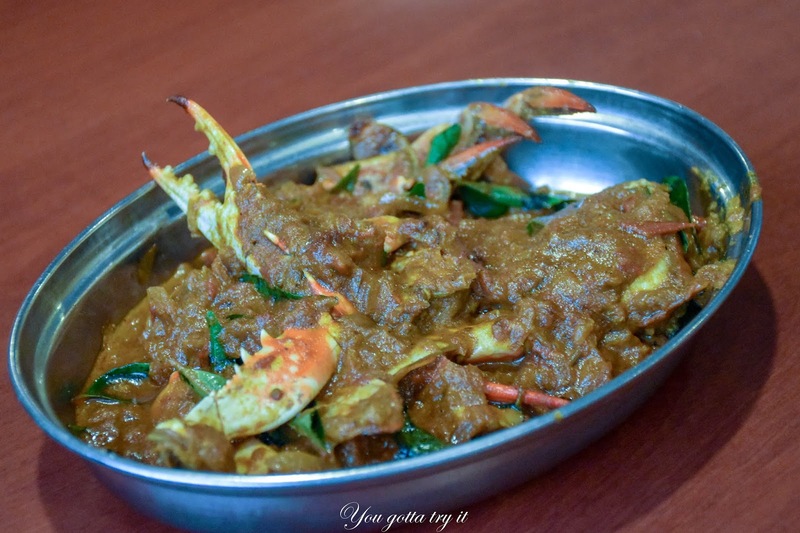 This was my first visit to Akshara and my experience was extremely delightful than expected. 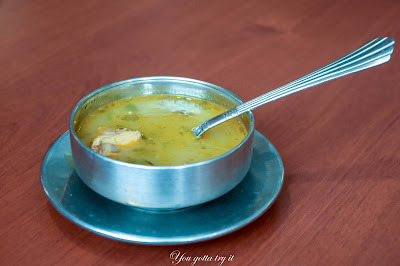 We started with three soups - Mutton, Thengapal Kozhi soup (Chicken soup with a dash of coconut milk), and Pepper Rasam. 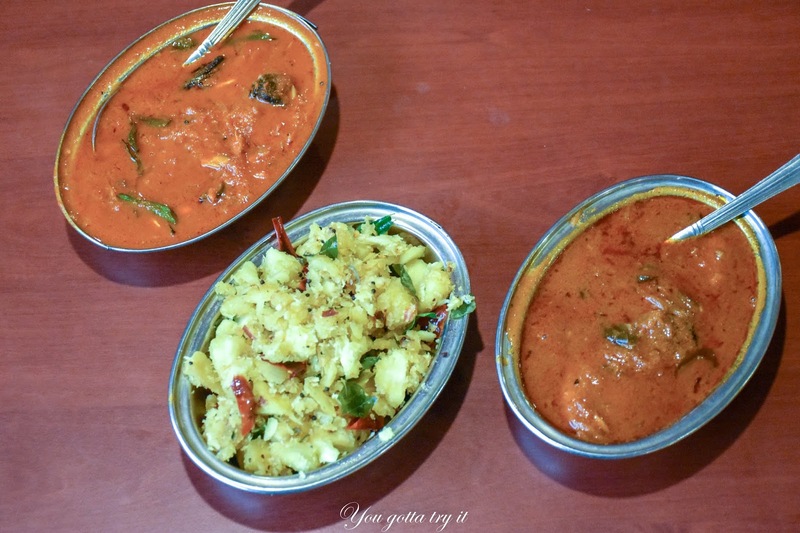 All three soups were delicious with mild to spicy flavors. 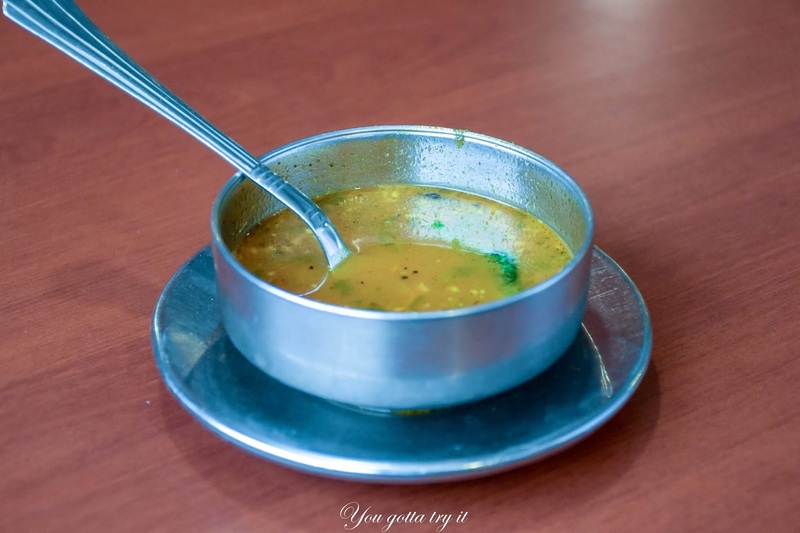 Pepper rasam was the best according to me and for this weather its perfect. 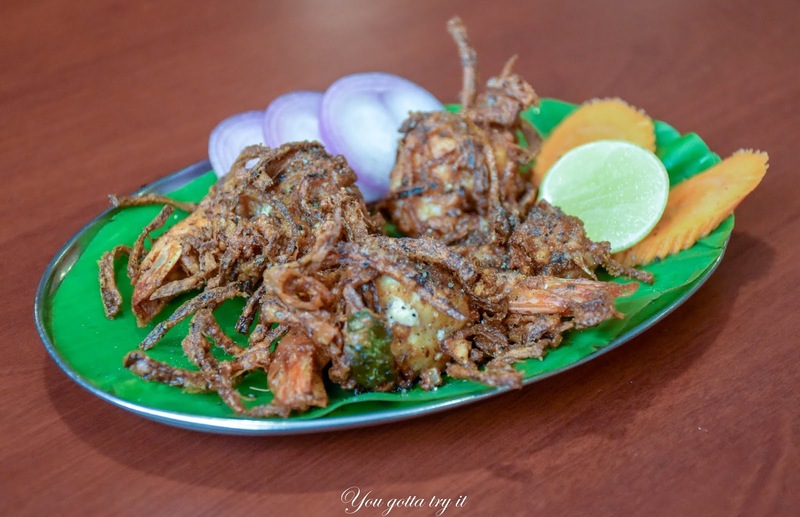 Malabar Konju Porichathu -Prawns marinated with Kerala spices and deep fried. We really didn’t bother about any accompaniments with this. Vazhapoo Pakoda – Threads of Banana flower and Onions combined to create an amazing combo of pakoda (fritters). 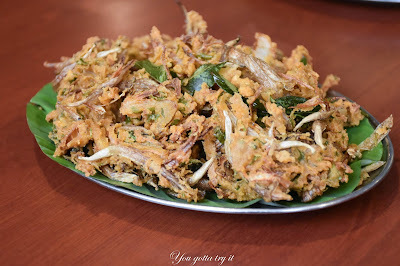 This can be a perfect snack to go with tea or beer, so crispy and tasty it was. Usually, Vazhappoo cutlets are very common and Pakoda/Bajji is a gem of a kind snack from the remote villages. 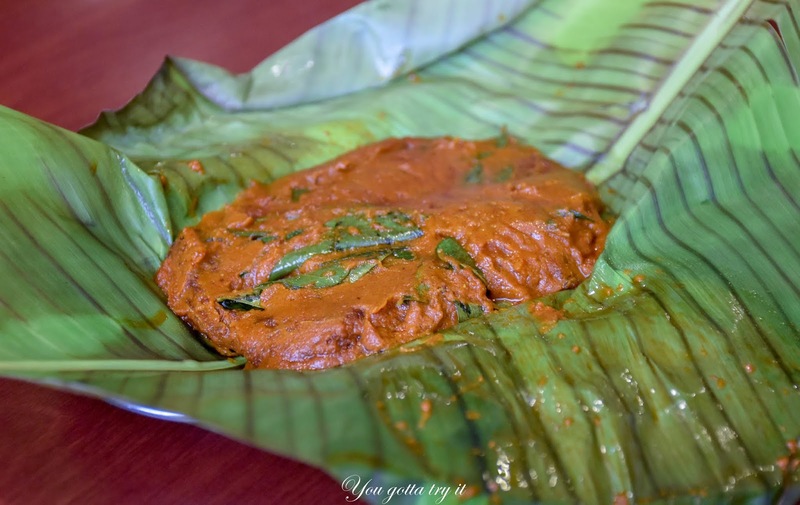 Meen Pollichathu – Traditionally Fish is prepared in onion- tomato masala along with spices and a parcel is made using plantain leaves and grilled to perfection. The flavors were really good. 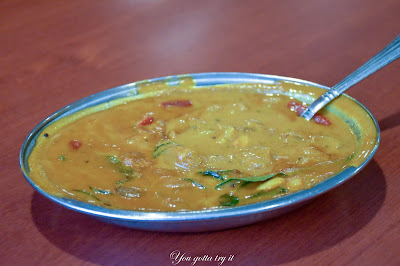 After having soups and starters (snacks I would say), it was time for some heavy eating. As I was the only Keralite in the group, my friends asked me to order everything. 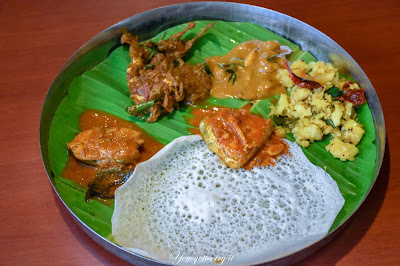 We had Ulli theeyal (because I want them to taste the household flavors), Kappa Meen vevichathu (Tapioca with spicy Seer fish curry), Alleppey Meen (Seer Fish) Curry (Ideally this fish curry is made of raw mangoes, red chilli paste, and coconut milk; as mangoes were offseason, they used Kudam puli in this curry) and Njandu (Crab) Vattichathu; all these to have with piping hot Appams and boiled rice (red rice). 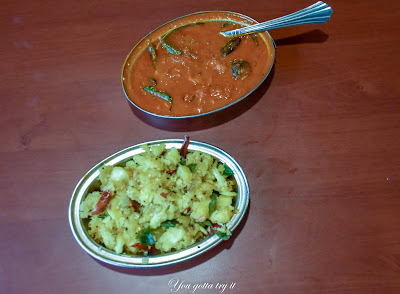 I literally went to a foodcoma as the food was brilliantly done. 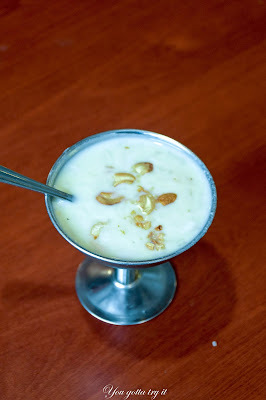 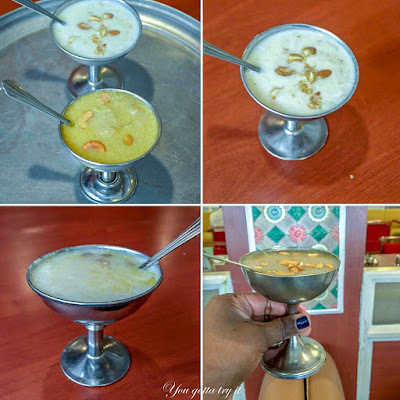 For desserts, they had all popular Kerala payasams like Chakka Pradhaman, Ada Pradhaman, Paal payasam and Elaneer payasam, out of which the winner was undoubtedly the Elaneer payasam with chunks of tender coconut in it. Other payasams were not up to the mark and with small changes they could do it better.